Our range of products include web sling, polyester web sling 16 ton, 200 mm, polyester web sling 24 ton, 200 mm, polyester web sling 20 ton, 250 mm, polyester web sling 12 ton, 300 mm and polyester web sling 10 ton, 250 mm. 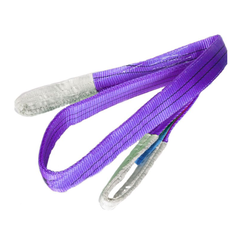 We are one of the leading manufacturer, supplier and exporter of Web Slings in Mumbai, Maharashtra, India. The offered slings provide safer and faster unlocking mechanism and also ensure complete locking of strap in position. In adherence to the international quality standards, our offered slings are duly checked on various parameters. We offer these slings to our clients at reasonable prices on stipulated time frames. 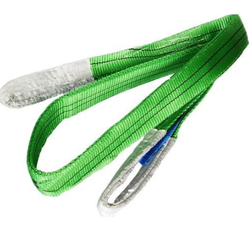 Leveraging the skills of our qualified team of professionals, we are instrumental in offering a wide range of Polyester Web Sling 16 Ton, 200 MM. Packaging Details: Packed in Cartton. We are offering a wide range of Polyester Web Sling 24 Ton, 200 MM. 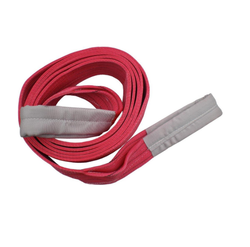 It is a heavy duty nonmetallic sling, made of polyester. As one of the leading entity of this domain, we are engrossed in providing supreme quality Polyester Web Sling 20 Ton, 250 MM. We are offering a wide range of Polyester Web Sling 12 Ton, 300 MM. 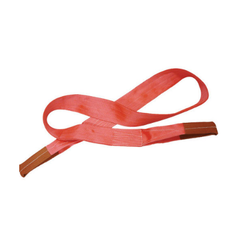 It is a heavy duty nonmetallic sling, made of polyester. We are offering a wide range of Polyester Web Sling 10 Ton, 250 MM. 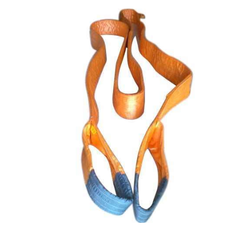 It is a heavy duty nonmetallic sling, made of polyester. 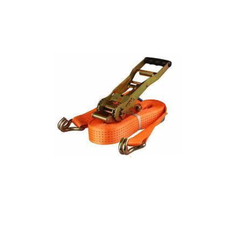 We are offering a wide range of Polyester Web Sling 5 Ton, 125 MM. It is a heavy duty nonmetallic sling, made of polyester. 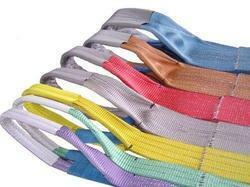 We are offering wide range of Polyester Web Sling. It is a heavy duty non-metallic sling, made of polyester. Polyester Slings are made with multiple high tenacity yarns covered in a jacket. Yarns are hank wound continuously in form of endless and are enclosed in a protective cover. 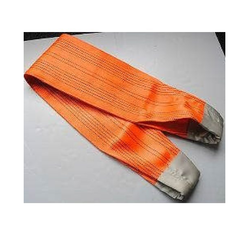 We are one of the leading Manufacturer, supplier, trader and exporter of Polyester Multi Leg Sling in Mumbai, Maharashtra, India.We manufacture the best quality Polyester Webbing Slings to suit all kinds of lifting applications. All slings are proof load tested and certified prior to dispatch at our test bench. 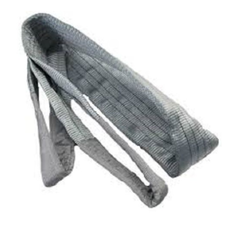 We are one of the leading manufacturer, supplier, trader and exporter of Flat Webbing Lifting Sling in Mumbai, Maharashtra, India. We are offering a wide range of Polyester Web Sling 6 Ton, 150 MM. 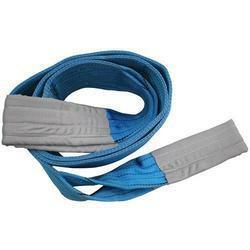 It is a heavy duty nonmetallic sling, made of polyester. 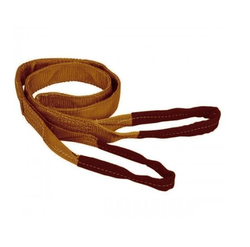 We are offering a wide range of Polyester Sling. It is a heavy duty nonmetallic sling, made of polyester. We are offering a wide range of Polyester Web Sling, 1 Ton,25 MM. It is a heavy duty non-metallic sling, made of polyester. 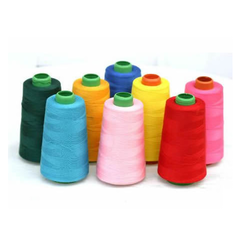 We manufacture high tenacity industrial and consumer threads using nylon, polyester and Sewing Threads. Our range of threads are available in every possible shade, thickness and is also known for their high performance and durability. We also undertake customized production. 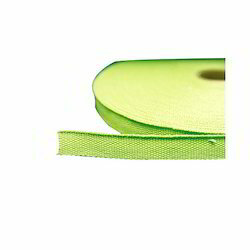 Our range of grosgrain tape are manufactured, using a special weave pattern, to meet the high performance criteria of different industries. These tapes are available in a numerous shades, dimensions, and quality grades. We undertake customized orders from our clients, without any minimum order restriction. 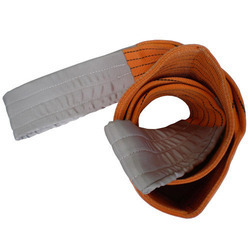 We are offering a wide range of Flat Belt Sling in Mumbai, Maharashtra, India. Looking for Polyester Slings ?